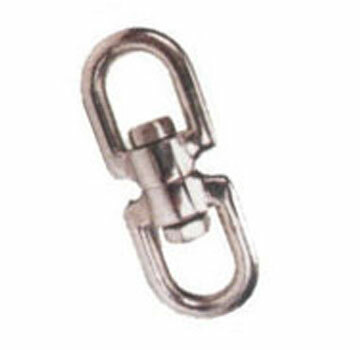 PRODUCT: #SSE014 1/4" STAINLESS STEEL SWIVEL, EYE-EYE, 2-9/16" Overall, 600 lb. capacity. Price/10. For ID and Eye dimensions, see EYE NUTS. Minimum breaking strength is 5X Rated Capacity.